This painting is elegant in its simplicity. 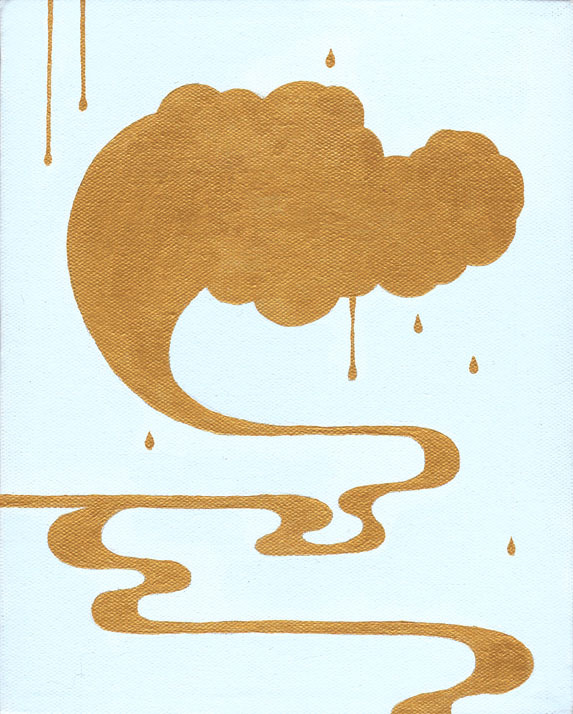 The background is a subtle pale blue, while the cloud image is painted in an iridescent gold. The appearance of the gold paint changes depending on the angle of the light. This will be part of the Small Works 2008 exhibit.